Can you confirm these amateur observations of Batagur trivittata? Distribution Myanmar (= Burma) (Irrawaddy and Salween river systems), China (Yunnan) ? Type locality: "Bengale" (in error). 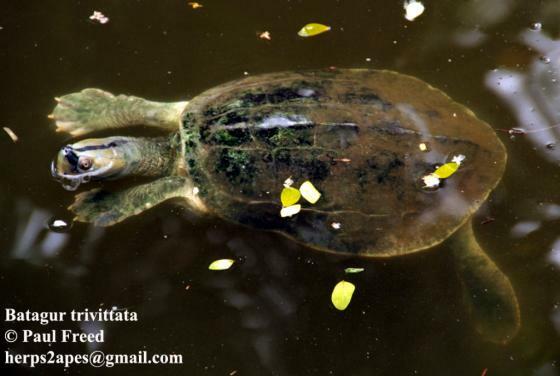 Comment Conservation: This is one of the most endangered turtle species according to a 2003 assessment by the IUCN. Synonymy: partly after RHODIN et al. 2010.